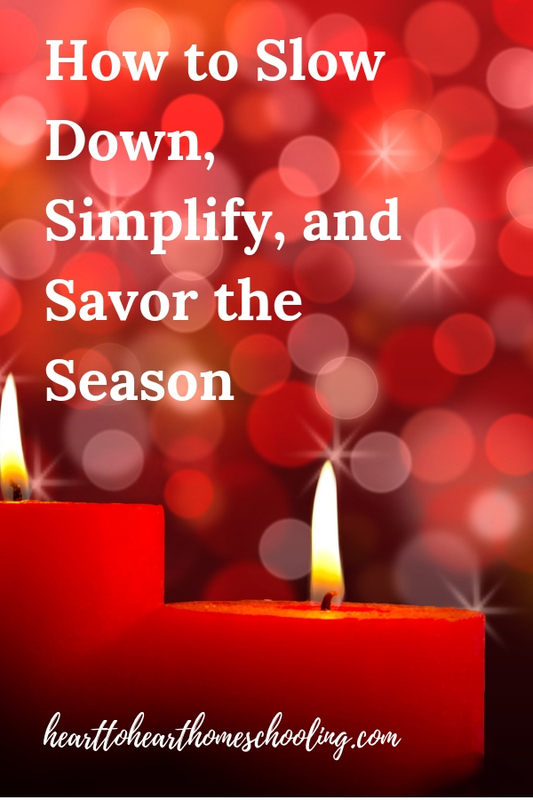 Instead of adding one more thing, why not slow down and simplify this Christmas season? Use these Christmas celebration ideas to savor the season. And then I was so close to getting them all that I just couldn’t seem to stop myself. Loaded down with plastic bags containing a grocery cart’s worth of food and determined to make it in the house, somehow I miraculously closed the CRV trunk without dropping it all. Did I make it? Yes. But did I feel the bags cutting into my arm like a plastic knife? Did I come close to dropping it all? And did the dogs almost run out of the house as I fumbled my way through the door? Uhm, yes to all that too. By continuing to add just one more, it wasn’t long before I was foolishly carrying too much. I wish I could say that only happens when it comes to grocery bags, but it doesn’t. I can do that in many areas of my life including celebrating the holidays. Sure we can look at each opportunity and think, “Yes we can do that…it isn’t that much.” And it might not be. But when you add a bunch of “not much” it can add up to a little too much at some point. So this Christmas season, let’s not keep adding one more thing. Instead, let’s truly celebrate Christmas by slowing down, simplifying, and savoring. Celebrate Christmas by slowing down. Because the reality is, when we say yes to one thing we are always saying no to something else. That something else might be family time, school time, or down time—but we are making choices. Let’s make those choice intentionally by thinking through what we truly want to say yes (and no) to. 2. Being fully present. When we are busy, we can have a hard time not thinking about the next thing that needs to be done. And in this world that is so distracting, it is hard to focus on what is right in front of us. But I don’t think any of us want to look back and realize we missed out on all those little moments that mean so much more in the long run. 3. Taking a day each week to rest. Personally, I’ve stopped getting on Social Media on Sundays. I don’t even schedule things to my business page. Why? Because we all need to rest. And for me, things like Facebook and Instagram are too closely related to the work I do to be restful. Do I love connecting with people? Yes! It’s part of the reason I love what I do. But we all need to rest even from some good things in order to experience His best. The principle of rest is woven throughout the Biblical narrative. But do we really take it seriously? We did this with our decorations years ago. We decided we only wanted to keep the things we loved, brought us joy, or helped us focus on Christ. The idea can be applied to any area of holiday celebrations though. Is this something I love? Does this bring us joy? Does it help us focus on Christ? 1. Traditions. If you can’t decide what traditions to continue and which ones to let go of, have a family meeting and ask your kids what is most important to them. They may just surprise you with their answers. And remember, if you miss a tradition one year, it is OK. The most important thing isn’t really what we do, but who and what we focus on—our family, friends, and savior. 2. Homeschool. 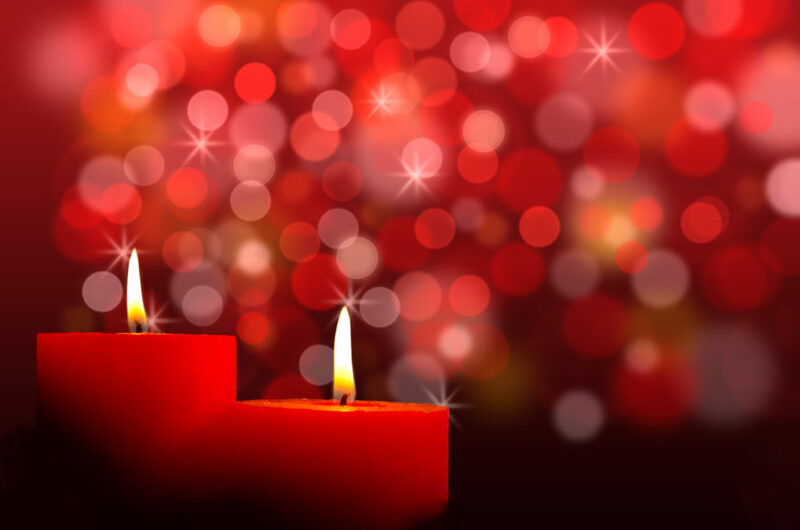 We often want to celebrate the Christmas season with special learning opportunities. But when we try to do those on top of everything we normally do, we will be overwhelmed. And our kids will be overwhelmed and frustrated, too. This is the perfect time of year to do something different, but still educational. Try some of these Christmas Learning Activities to Finish Your Semester Strong. Savor means to “enjoy or appreciate (something pleasant) completely, especially by dwelling on it.” How can you savor the beauty of the Christmas season. How can we savor the true meaning of it all? As a homeschooling family you need flexibility when it comes to resources. And that’s how Savor the Season—Family Faith Pack is designed. You can tailor it to fit your family’s needs to prepare your hearts for the Christmas season. A copy of the 7 day devotional An Emptied Life. This is a great resource to help you celebrate not only Christmas, but holidays throughout the year. It contains practical tips to help you experience “less chaos, more Jesus” in your family celebrations. Give your family and yourself a gift this Christmas season. Choose deep connection over frantic flurry. Slow down, simplify, and savor as you celebrate the birth of our Savior. « What are the Best Gifts Your Aspiring Writer will Love?